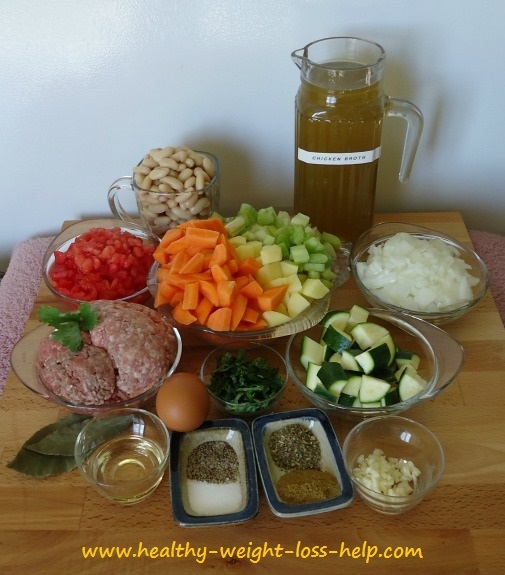 This Albondigas soup recipe is a nice change for the taste buds, offering a unique Mexican flavor. 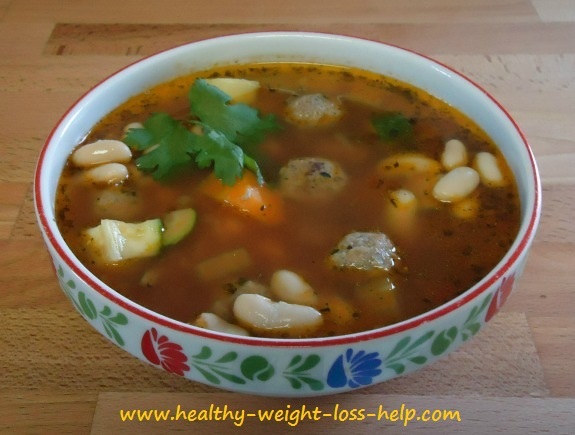 This dish is low in calories and makes a great diet soup for weight loss. Put 1/2 the onions in a frying pan with the oil and sauté until translucent, about 5 minutes, stirring occasionally. Add 2 cloves of the minced garlic and sauté for another 2 - 3 minutes. In a mixing bowl, combine the pork, beef and the sautéed onions and garlic from the frying pan. Do not wash the frying pan and whatever little oil is left in the skillet just leave it. Soon we will brown the meatballs in this skillet. Also add the 1/4 cup cilantro, cumin powder, 1/2 the oregano, the egg and salt and pepper to taste. Mix well by hand and shape into little round meatballs about 1" round in size. In the same frying pan as you sautéed the onions in, add as many of the meatballs as you can without overcrowding them. Over medium high heat, cook the meatballs until they are browned on all sides, about 6 minutes or so. Do this until all the meatballs are browned. 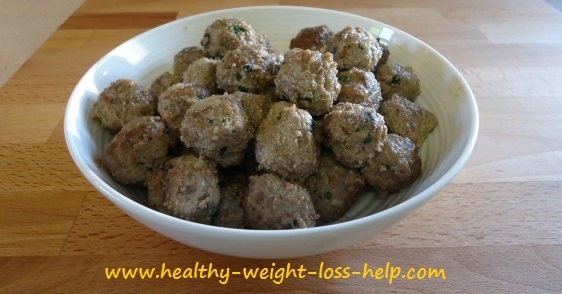 Once browned, put these cute little meatballs in a bowl for later use. Also drain the fat from the frying pan, leaving only about a tbsp of fat to sautée the second batch of onions. In the frying pan sauté the remaining onions for about 5 minutes or until translucent (stirring occasionally). Add the last clove of minced garlic and sauté for another 2 - 3 minutes. Now we add the carrots, celery and potatoes and sauté another 5 minutes, then stir in the tomatoes, add the chicken broth, bay leaves and oregano. Bring ingredients to a boil and add the meatballs and remaining cilantro. Reduce heat and simmer for about 20 minutes or until vegetables are cooked. Time now to add the zucchini and white beans. Continue simmering for another 5-7 minutes. Remove from heat and add salt and pepper to your liking. Whether you like your vegetables, diced small or chunky it is always a good idea and try to cut the celery, carrots and potatoes roughly the same size so they cook evenly and at the same time. This soup has 224 calories per serving (calculated if there are 8 servings in this pot).